On the weekend before the Head of the Charles, some local high-school teams practiced over the course. Isabel joined the CRLS girls' crew team, and rowed in a novice Eight. 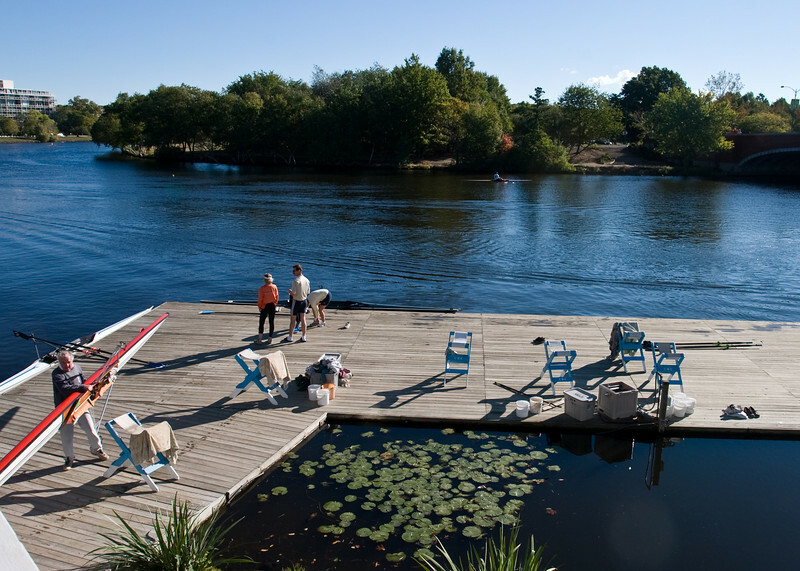 CRLS is hosted by the Cambridge Boat Club, or CBC, which provides a marvelous out-look. A quiet moment at the Cambridge Boat Club.